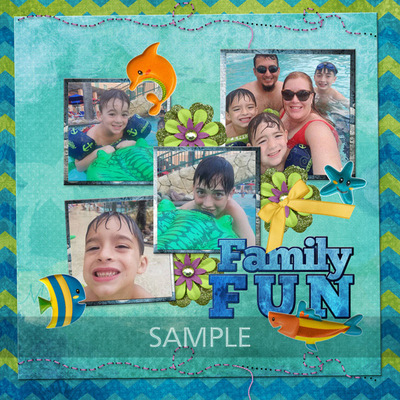 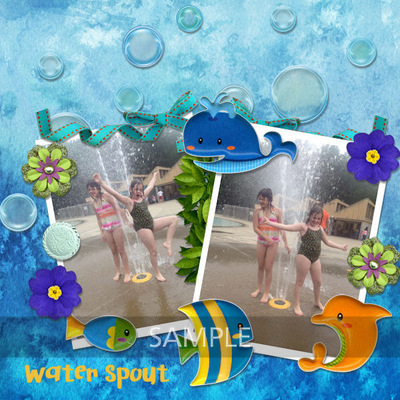 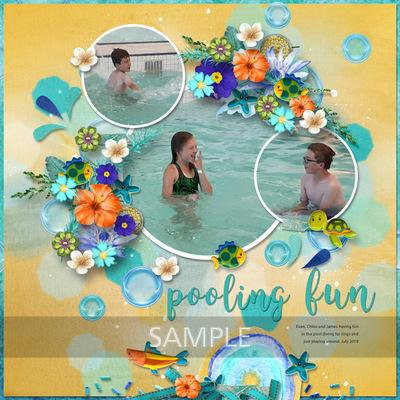 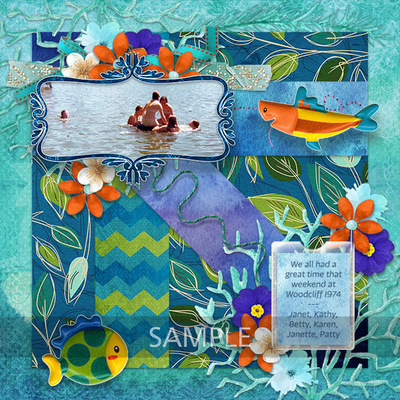 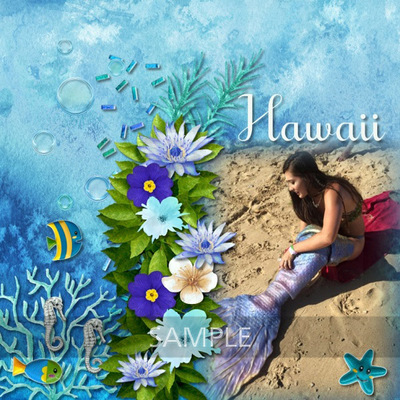 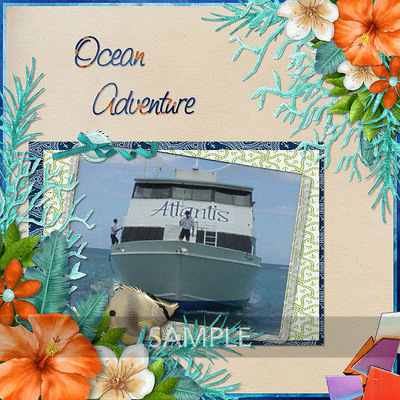 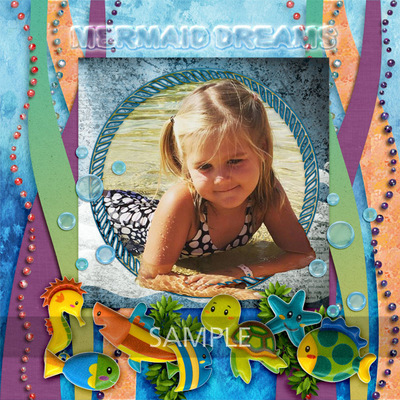 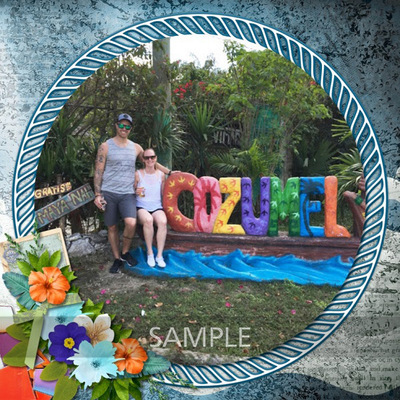 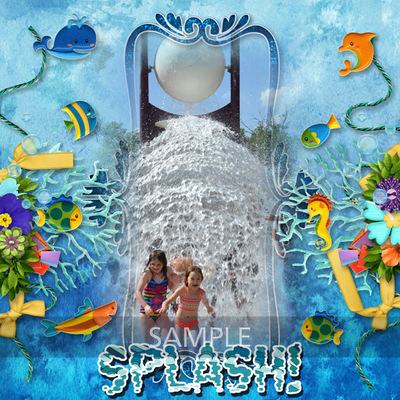 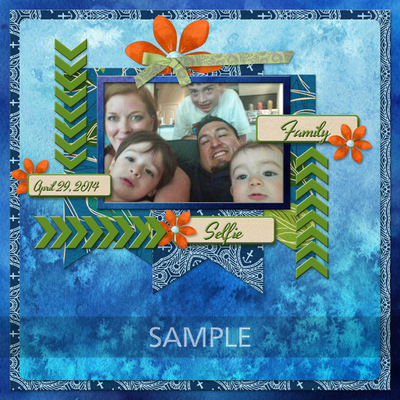 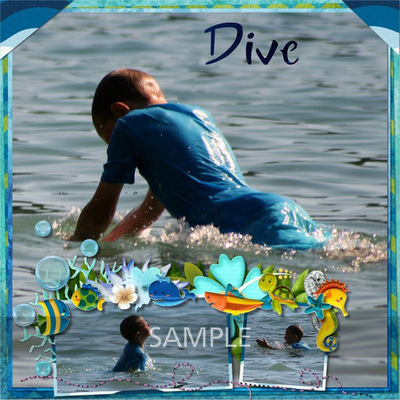 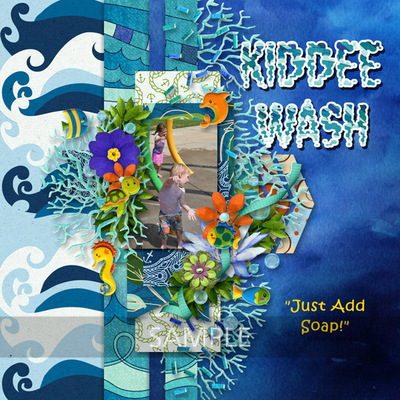 Mermaid Tales by Over the Fence Designs is a fun and colorful beach kit ready to scrap your summer memories. 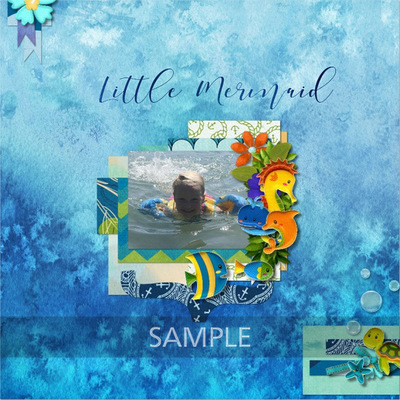 Mermaid Tales Page Kit by OTFD – 12 papers and 50 elements. 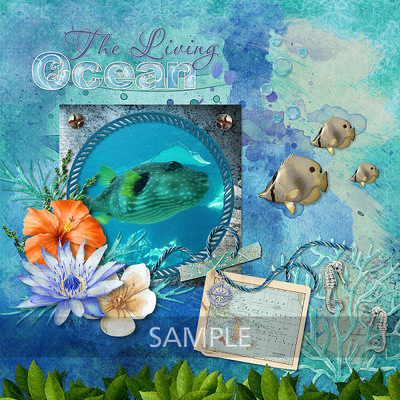 Detailed elements list: 1 bubbles, 1 border, 2 buttons, 9 puffy sticker sea creatures, 10 flowers, 5 foliage, 3 frames, 1 broken glass pieces, 1 velum stitched pocket, 5 ribbons, 1 screw head, 1 stitches, 1 ephemera (map), 1 fish, 1 seahorse, 1 journal card, 1 scatter, 1 seaweed, 1 string, 2 tags, 1 glitter washi tape.